My Regime hasn't really changed much in the last year but the products I use has. i might even re-do my dream hair shopping list as I no longer crave the same things for my hair. I stopped clarifying, not for any real reason, I ran out of my Curls clarifier and wanted to try something new but haven't seen anything on the market I really like. My new fav shampoo and conditioner range the K2H for Damaged hair with Ylang Ylang. I know this might sound crazy but the thing that I am enjoying most about this unseasonal hot weather is that my coconut oil is no longer a solid lump. Head over to our facebook page for updates, news, reviews or to share your experineces with us. Start a discussion or post on our wall, we love to hear from you. This essential oil is derived from the flowers of the Cananga Odorata plant and is often used in aromatherapy. 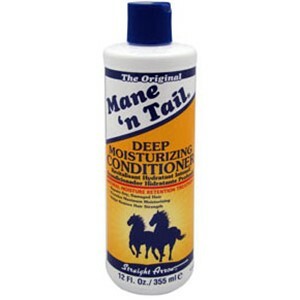 It stimulates hair growth and is a natural conditioner. It is excellent for sun damaged hair and use before swimming to protect hair from chlorine or sea water. 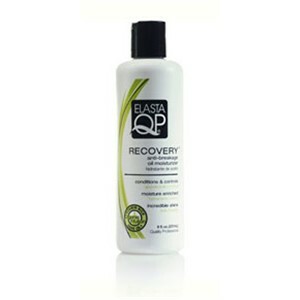 It has a softening and balancing action on sebum production and is recommended for the treatment of split ends. This balancing effect on sebum and it's moisturising effects make it beneficial for mature, dry and oily skin types. It is useful in treating hair loss because of it's calming properties. Hair loss can be caused by stress- Telogen Effluvium. This causes the hair to go into a resting state and the hair root to fall out. Once stress is reduced or eliminated, the hair grows back. Trying to understand what is in your hair product is never easy. Reading through all the ingredients can become tedius especially if you have no idea what you are looking at. Cocos Nuferia is sometimes seen on the back of hair and skin products. There is no need to panic this is the Latin name for coconut oil. Coconut oil is excellent as a skin moisturiser and softener. A 2003 cosmetic paper 'Effects of mineral oil, sunflower oil and coconut oil on the prevention of hair damage' which is referred to a lot on the blogosphere commented that coconut oil is able to penetrate the hair shaft: 'Coconut oil is a triglyceride of lauric acid (a principal fatty acid) and has a high affinity for hair proteins and because of its low molecular weight and straight linear chain, is able to penetrate inside the hair shaft. ', you can access this paper here. This study showed that coconut oil is effective and safe when used as a moisturiser, with absence of adverse reactions and showed that coconut oil helped prevent protein loss from the wet combing of hair when used as a pre-shampoo treatment. This corresponded to information in an earlier paper 'Effect of coconut oil on prevention of hair damage: Part I' also commented on the protective effects of coconut oil on chemically treated hair during the grooming process. It can reduce water absorption and swelling of the hair cuticle and attributed this to its water hating (fat/lipid loving) properties. This stops the cuticle lifting and the hair getting snagged during wet combing.You can access this here. You can see from these papers that the uses of coconut oil are not singular and there are different ways in which it can be used for different outcomes. These papers referring to its use both on dry and wet hair. This is an wonderful moisturising oil and I especially like to use it as a pre shampoo conditioning treatment and it smells great too! I like to mix coconut oil with Jamaican Black Castor Oil and leave on my hair for a couple of hours before shampooing... Works wonders!. Jamaican Black Castor Oil and more! Now available at AfroDeity Online Store. I have previously blogged on ditching your hotcomb and my experience with said instrument of torture is detailed here. I usually blow dry my hair first before using any straighteners. Use a low temperature setting to start and let it heat up. Bearing in mind that you can't feel the heat from the barrel on your hand so if you turn it up too high, you may not realise and burn your hair. I think mine is set at 170C and it straightens fine. Hope this is helpful. Email if you need any help! I think it is safe to say I am almost if not just at APL, which was my ultimate goal, I guess I will see how much longer it gets and post here to let you know. I haven't really been taking very good care of my hair this month and have missed a few mid week co washes. Also I have gone back to swimming so I should really be more careful and deep condition weekly. When I finally relaxed my hair at 12 weeks post relaxer (Olive Oil Challenges out the window - will try again this time round, but properly) I had lost a lot of hair, I haven't seen that much hair in the sink since I started my hair journey so I know I have been doing something wrong. Could just be stress, so this week I decided to do a nice deep conditioning treatment for my hair with egg and Jamaican Black Castor Oil. I also pre-pooed for 2 hours beforehand with jamaican black castor oil/coconut oil mixture. When I was finished washing my hair 3 hours later, my hair felt much softer and even though a few strands still came out it was no where near the breakage I had been experiencing. Hopefully if I keep this up over the next few weeks I can bring my hair back from the brink. Otherwise I will just have to start again. For any one who has experienced serious hair loss, it is probably a good idea to see a professional. 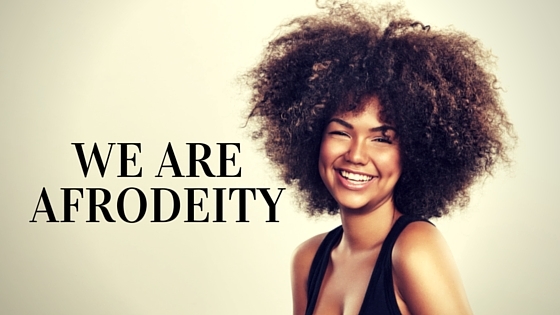 Trichology is the branch of medicine that deals with the scientific study of the health of hair and scalp. One who deals in the science of the hair and scalp is called a trichologist. They are not licensed doctors although members of the medical profession can undertake courses and/or careers within trichology. "But why do I need to see a trichologist? ", Hair Loss can be caused by a myriad of problems, and may not just be solved by lathering various cremes and potions from boots on it. As you have no way of really knowing what caused your hair loss in the first place, seeing a trichologist is a good idea befor it is too late. Most Afro-Caribbeans will experience hair loss from the harmful chemicals we use to relax or straighten our hair but hair loss can be genetic, caused by a bacteria or funghi or can even be caused by stress. So if your hair loss is extreme, I do recomend doing your hair a favour and seeing someone about it. For those of you who have written in (you know who you are) and that really want to know about the science of castor oil. I thought I would elaborate a little. Most of the information I have put on this blog about castor oil, is purely observational and based on my personal experience with this product. 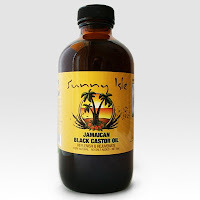 I was unable to find any published cosmetic research on unrefined Jamaican black castor oil so here is some information on general castor oil. Castor oil is a vegetable oil obtained from castor seeds (Ricinus communis). Ricinus communis - Many of you will have seen these words on the back of many beauty products. This is the scientific name for the castor oil plant. Ricinus communis, is a species of flowering plant in the spurge family, Euphorbiaceae. Ricinus describes the genus and Communis describes the species of the plant. Castor oil is a triglyceride which are esters derived from glycerol and three fatty acids. Approximately ninety percent of the fatty acid content in castor oil is from ricinoleic acid. Ricinoleic acid (12-hydroxy-9-cis-octadecenoic acid) is an unsaturated omega-9 fatty acid that naturally occurs in mature castor plant seeds. Omega 9 fatty acids which have a conditioning and moisturizing effect on the scalp and the hair. Essential fatty acids are needed for the development of healthy tissues. Our natural sebum contains essential fatty acids. Lipases derived from bacteria which are always available on the skin break down triglycerides to free fatty acids and glycerols. These "good" bacteria cleave the glycerol freeing the fatty acid from the triglyceride, producing free fatty acids. Free fatty acids create an antimicrobial layer that can protect our skin/scalp from "bad" bacteria and prevent infections. Microbial and fungal infection are two of the main causes of hair loss or dandruff. Using castor oil can help with dry scalp and skin conditions. Massaging straight castor oil onto the scalp and leaving on the hair overnight and then shampooing out the next day can greatly alleviate these problem. As well as ricinoleic acid, the other fatty acids in castor oil nourish hair and prevent scalp from drying by retaining moisture. Aldrich Handbook of Fine Chemicals and Laboratory Equipment, Sigma-Aldrich, 2003. Burdock GA, Carabin IG, Griffiths JC. (2006) Toxicology and pharmacology of sodium ricinoleate. Food Chemical Toxicology. 44(10):1689-1698. Epub 2006 . Review. Kishino S, Ogawa J, Ando A, Omura Y, Shimizu S. (2002) Ricinoleic acid and castor oil as substrates for conjugated linoleic acid production by washed cells of Lactobacillus plantarum. Biosci Biotechnol Biochem. 66(10):2283-6.